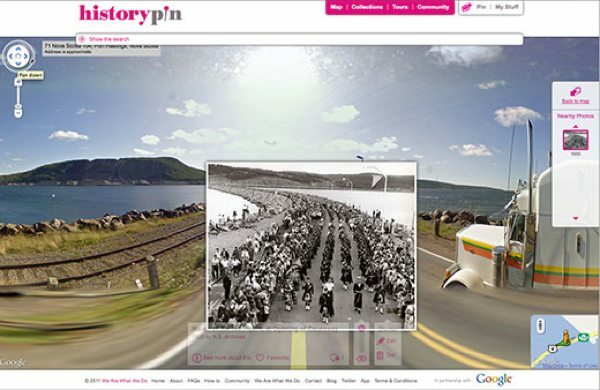 Let's reveals 9 free ways to explore the past using Google as your time-travelling companion. Five of the Dead Sea Scrolls are available to browse for free online, thanks to a joint project between Google and the Israel Museum in Jerusalem. 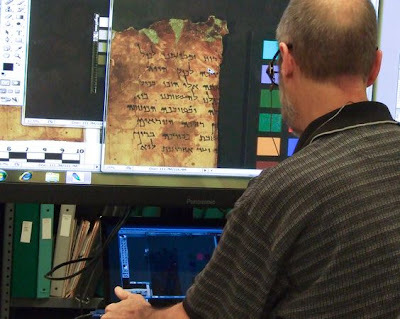 The scrolls, which are written on papyrus and parchment, are believed to date back to 150BC and contain the oldest copies of many Biblical texts. 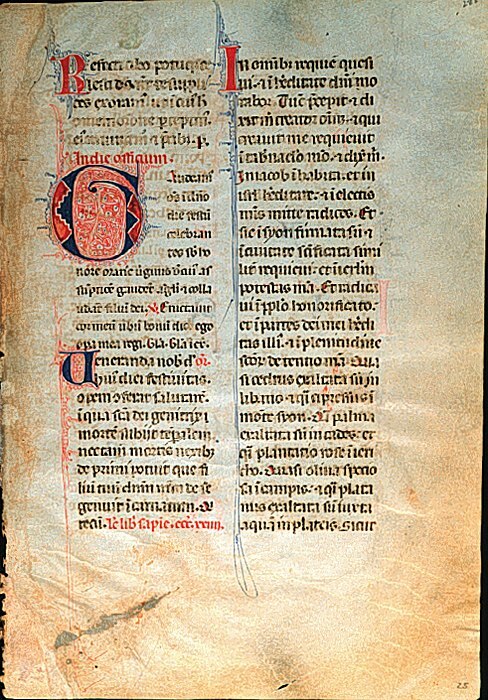 Google's ultra-high resolution scanning lets you pick out every crease and blemish in each scroll, and helpfully provides an instant English translation when you highlight a section. Explore historic sites and buildings using the Gallery section of the Street View website. This features 360-degree panoramic imagery of places including Stonehenge, Pompeii and the Historic Centre of Prague, in its UNESCO World Heritage and Historic Italy collections. 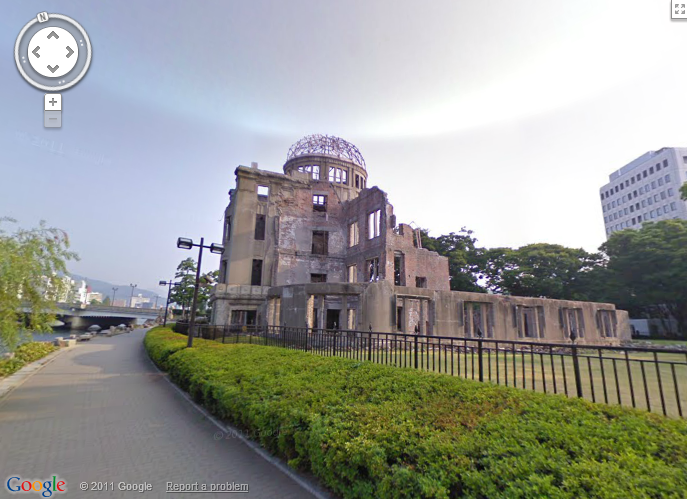 You can zoom into and around the locations without having to squeeze past hordes of tourists, and click the 'See this spot in Google Maps' option to view the sites in context. 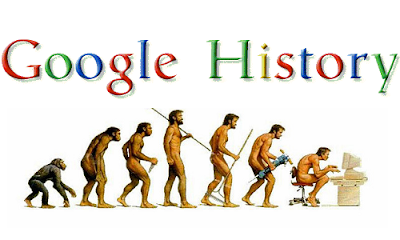 Although Google's mission to scan every book ever published has been stalled by copyright issues ( http://bit.ly/google279), its digital library still has more than 15 million works, dating back to 1400. Search for a title or a phrase at Google Books, hen filter the results by date using the 'Custom range' option. 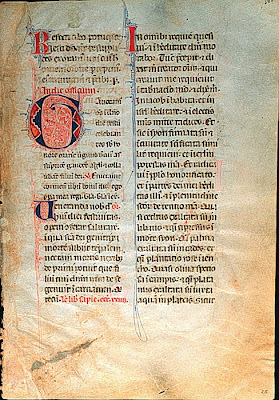 You can usually browse the full text of older books for free, download them as PDF files, and read on the move using the apps for Android, iPhone and iPad. Want to see what ancient Rome really looked like, rather than trying to imagine it from photos of ruins? 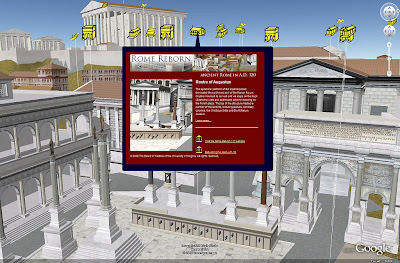 Then download Google Earth, open the Gallery layer and select the Ancient Rome 3D option. 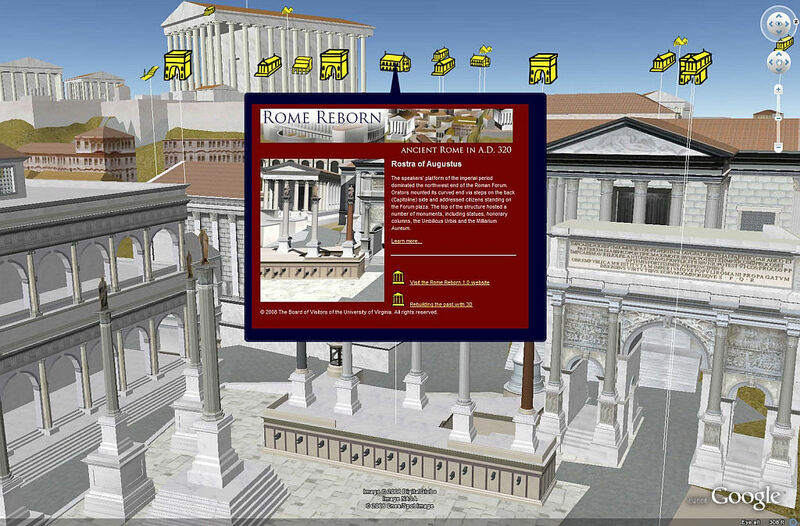 This will take you back to 320AD, where you can explore more than 6,000 3D buildings, such as the Forum, the Colosseum and the Temple of Vesta, including some you can step inside for a closer poke around. 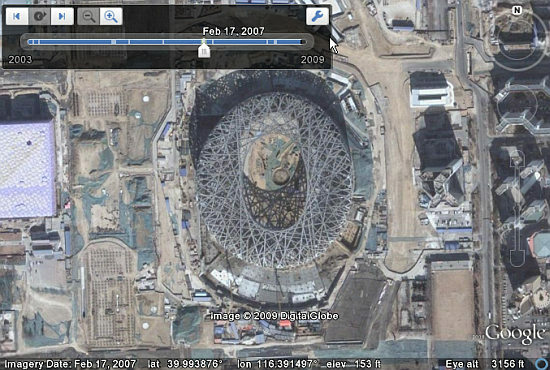 Google Earth also features a 'Historical imagery' tool that lets you see how an area has changed over time. When you're viewing a place from above, click the clock icon on the toolbar and drag the slider bar to the left to move back in time or to the right to move forward. The aerial photography will change accordingly, where available, and sometimes the imagery goes back as far as the 1930s. We've previously recommended Historypin (www.historypin.com), which overlays old photos on Street View imagery. The site says you'll soon be able to add videos, too, but in the meantime, check out There and Then, which superimposes vintage-film clips over their modern-day locations. The videos include Glasgow in 1901, St lves in 1924 and London Bridge in 1926. Map collector David Rumsey has combined 120 historical maps from around the world with contemporary Google maps to let you travel back in time without losing your bearings. For example, you can view an incredibly detailed map of England and Wales from 1790, maps of Australia and New Zealand from the 1840s, and a depiction of Tokyo in 1680. 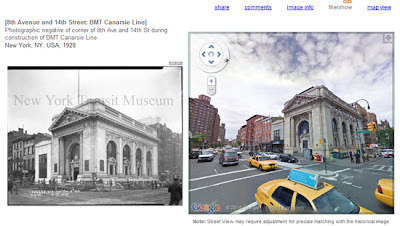 You can use the transparency slider to merge the old data with its present-day view. For more historical maps mash-ups, visit the brilliant blog Google Maps Mania (http://googlemapsmania.blogspot.com).